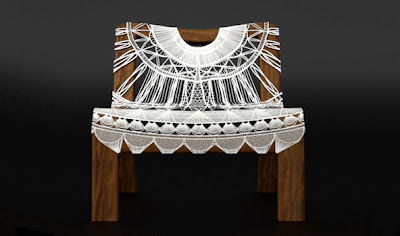 The Doily Chair, by industrial designer Tara Murry. 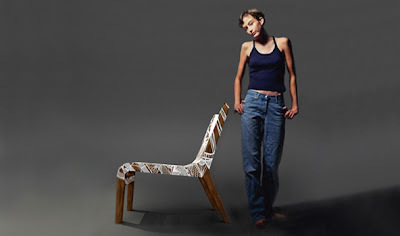 Tara says the chair is an '...exploration in designing a new furniture piece utilizing an outdated object. The new composite linen doily has found its home supported on a wide walnut chair frame. The recontextualized doily provokes images of grannies and formal parlours of the past yet maintains its contemporary proportions and usage.' A beautiful piece. Tara lives in Calgary, Canada. To order a chair, send Tara an email here.